SCOTTSDALE, Ariz. — Eric Kibler is without question one of the elite coaches in the history of high school baseball. 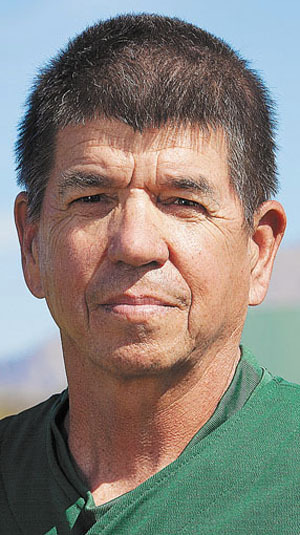 Now in his 34th year as the head coach of Horizon High School in Scottsdale, Ariz., his teams have won six state championships and been a powerhouse many of the years he has been at Horizon. He grew up in a small farming community in Ohio and has had a burning passion to learn everything he can about the great game of baseball. To this day, he has never played for a better coach than his dad, a humble, disciplined man who made sure his players had fun but worked hard. One of the finest teachers in the game, Eric has transplanted this unique small town atmosphere to his program as everyone pulls for each other, works hard with focus and attention to detail and plays the game the right way. Collegiate Baseball recently interviewed Eric about what has made his program so special over the years and what his coaching philosophies are. He kicked off the interview with a story that shaped his coaching career. “I coached at Van Wert High School in Ohio my first five years,” said Kibler. “I was a 24-year-old head coach. When you are young, you get too emotional and personal and have a lot to learn. During a game, a kid made a mistake at first base defensively, and it was a mental mistake. I really screamed at him, and you should never, ever scream at a kid during a game. But I let him have it. “I could tell those comments really hurt him, and the team reacted to it. After the game I realized what I had done. So I got the team together and said, ‘Look, what I did and what I yelled today when Rick made that mistake at first base is not acceptable. Being a caring head coach has worked extremely well for Kibler over the years. He cringes when he sees coaches go off the deep end when they get frustrated and scream at their players in front of everyone during games. “My father was the best coach I ever had. He was very caring and treated everyone with great dignity. “Dignity to me means not verbally taking a kid apart in front of the team. You can correct him in front of the team and sometimes call him out. But you can do it in a productive way. “For instance, you can ask the player what he was thinking in that situation. You are better than that. Do we not practice that? “The mental focus at times with kids needs to be corrected. If the kid repeats mental mistakes over and over in practice, it is important to ask him if he were the coach and a player kept making mistakes such as this, would you allow that player to participate in games? “He will always say no. Then I tell him that being mentally focused every play in practice will show me that you are ready to play in games. And then they understand and usually focus much better. “It is a good teaching moment but not out of line. I don’t feel you need to undress a kid verbally in front of everybody. What’s the purpose? It is a personal issue with you and is selfish. And nothing good comes out of these power plays. Kibler said that he has seen too many coaches scream at players during contests. “I have seen coaches absolutely undress their pitchers verbally in games. They are screaming at them. And I can’t figure out what purpose that serves. Is there anything positive about that? The answer is no. Kibler is constantly evaluating his own performance as a coach as well as others on the team. “That is something that evolves every single day. The great thing about my coaching staff is that we have been together a long time. When we meet as coaches, I tell everyone that we are accountable to each other. The kids need to know that we are one out there. I will never correct a coach in front of a kid. We all know what each one is going to teach and the reasons behind it. “We will never rip each other as coaches in front of a kid because that’s not what we do. We agree to disagree some times during games. Being the head coach, I must make tough decisions at times. But I always have input from my fellow coaches which helps with those decisions. “Every day we evaluate our players with the coaching staff. We meet to discuss what this player or that player needs to grow as a baseball player. And I feel it helps when all of us are working together as a staff to do this. Great things can be accomplished. “The best thing a head coach can do is give his assistants total reign over their positions. I have a catching coach. I will tell the players that he is the head coach of that position. All my assistants are head coaches of their positions. I oversee everything and have the final say. But the entire coaching staff is crucial to the development of our players. Sometimes players do not give enough respect to assistants. But I let players know that I seriously consider advice every assistant gives to me. If he says you should start in the next game, more than likely you will. Players then give much more respect to those assistants as it should be. “It is important that I be a good leader and be a good role model for my players. Baseball aside, they need to look to me for consistency, confidence and balance. If I’m panicked, they are panicked. If my body language is bad and I am criticizing their body language, that is ridiculous and hypocritical. “I do make mistakes at times or haven’t been precise with my coaching in some element of the game. But I own up to those mistakes to my players, and they respond to it. “Recently, a kid wasn’t well versed in a slide he made. He stood up on the fielder at second base on a double play attempt and got called out for interference. He comes over and tells me that he wasn’t sure of that slide. I told him that I will own that one because I have not coached you well. I assumed he knew not to raise up and interfere with the fielder on the throw to first base. But he didn’t. I told him to forget it and go to the next play. Kibler said that to play the game at its highest level, players must know that they can make mistakes without retribution. “I have told our best base stealers that you will get picked off. I know that. So don’t be worried that I will be upset with you. Our players must have the freedom to play the game hard and not have me take that away from them by yelling at them for getting called out. “Here is a great example. I am the third base coach, and by and large you won’t see our kids look at me when the ball is in front of them. They are flying around the bag at second and trying to get to third. It’s their decision. And if they make a bad one that was aggressive, I’m OK with it. I really am. Most of the time, they are making great decisions. “We have already coached them in practice on how we want them to react on balls hit to the outfield while running the bases. I’m just their stop sign at third base. “Each fall, we let our players coach the bases during games. That’s hilarious. At third base, you must know the speed of players before you wave them in or if they got a good jump. But whether they make a mistake or not, they learn the game better. Kibler mentioned earlier that practice is for coaches while games are turned over to players. He was asked how important this concept becomes in games when players aren’t afraid to be yelled at for being aggressive. “If you watch our practices, our kids laugh at me because I am so detail oriented. Our drills and situations move along very quickly which helps with focus. Our practices are intense in a positive way as we put players in all sorts of situations which duplicate as many situations in games as we can. “Then when we get to a game, why should our coaches discuss anything mechanical with players? It is insane to do that. If our staff has prepared them well and done our job, I should be able to sit in the bleachers and watch them play. I really should. That is how well they should be prepared. “They know that in games, it is almost like a breath of fresh air as they turn it loose. People might notice that I don’t say much during games at third base. They are right. I never say anything to the players mechanically. I am simply positive, encourage kids and let them play the game. “If kids start thinking too much, the game of baseball will paralyze them. It’s such a skill set game and cerebral game. You have a lot of time to think between pitches or the last at-bat or an error on defense and how kids react to that. “I have a T-shirt that everyone wears that says NP — Next Play. When mistakes are made, our guys just go to the next play. We try to forget something happened and embrace adversity. Adversity is fun and a challenge to get out of. “Our pitchers do a terrific job of getting out of trouble. I might go out to the mound and remind a pitcher that this situation is exciting. We have practiced this, and it is a great opportunity to minimize the damage and come back with some momentum in the dugout. This is the first of a two-part series on Horizon (Ariz.) H.S. head coach Eric Kibler’s philosophies on coaching a successful high school baseball team. To read the entire two stories, purchase the April 18 & May 2, 2014 issues of Collegiate Baseball or subscribe by CLICKING HERE.